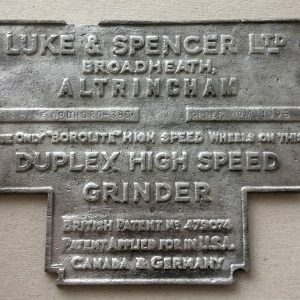 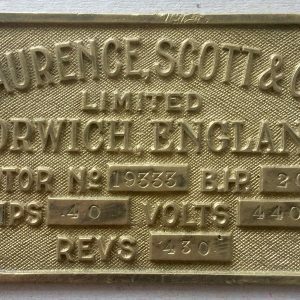 Laurence, Scott & Co Limited Norwich, England from the Harland & Wolff Abercorn Engine Works, Queen’s Road, Belfast. 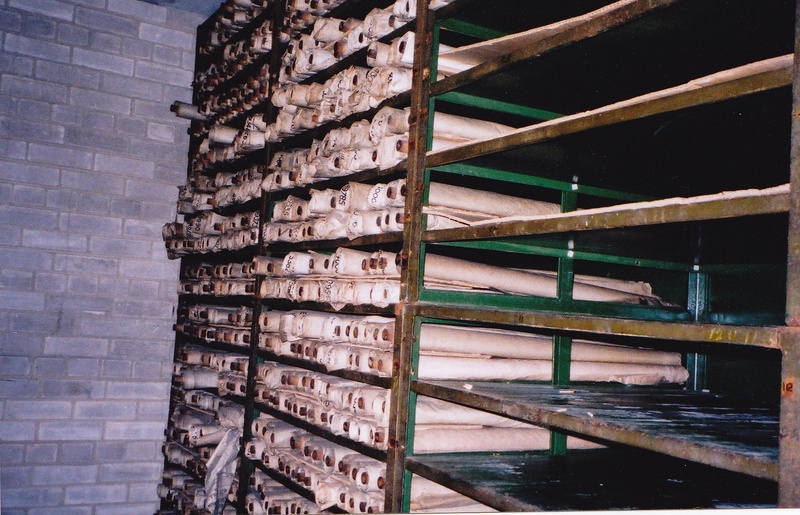 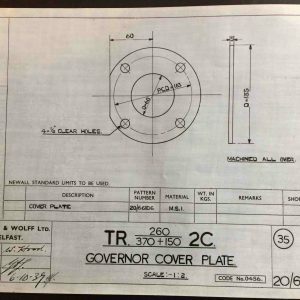 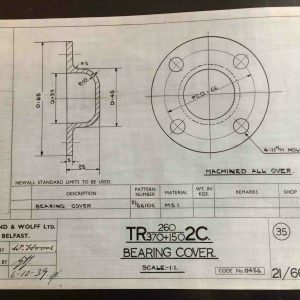 Harland and Wolff Rigging Plans – please contact us directly regarding this product. 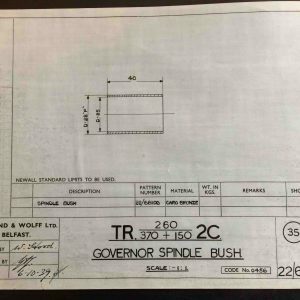 Original and unique Harland & Wolff Engineering Drawing, signed and dated 6th October 1939. 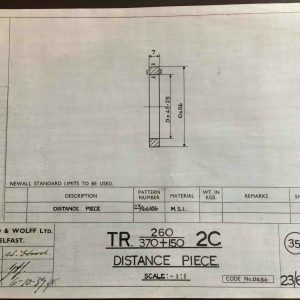 Original Harland & Wolff Engineering drawn, signed and dated 6th October 1939. 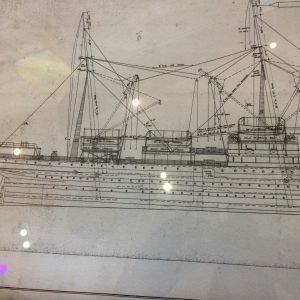 Unique Harland & Wolff Engineering Drawing, signed and dated 6th October 1939. 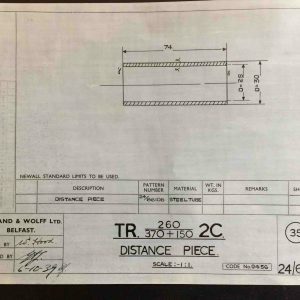 Harland & Wolff Distance Piece. 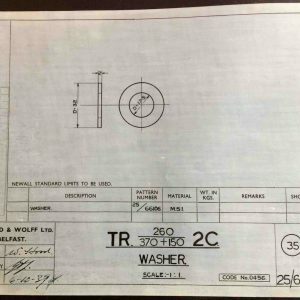 Original and unique – a washer -everything had to be drawn by hand before being made for Harland and Wolff vessels. 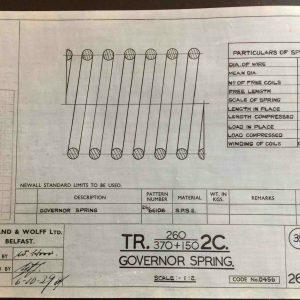 Detailed and original Harland & Wolff Engineering Drawing of a Governor Spring. 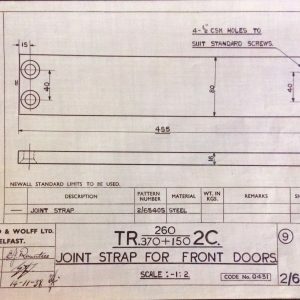 Every thing on all Harland and Wolff vessels in the 1930’s was drawn using Indian inked unto wax linen paper, including a Joint Strap for Front Doors!! 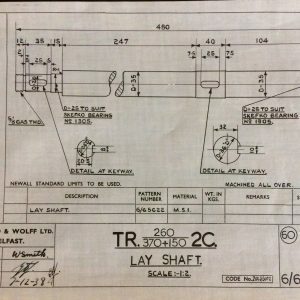 Own your own little bit of history with this unique and original Harland and Wolff Engineering Drawing of a Lay Shaft dated December 1938.